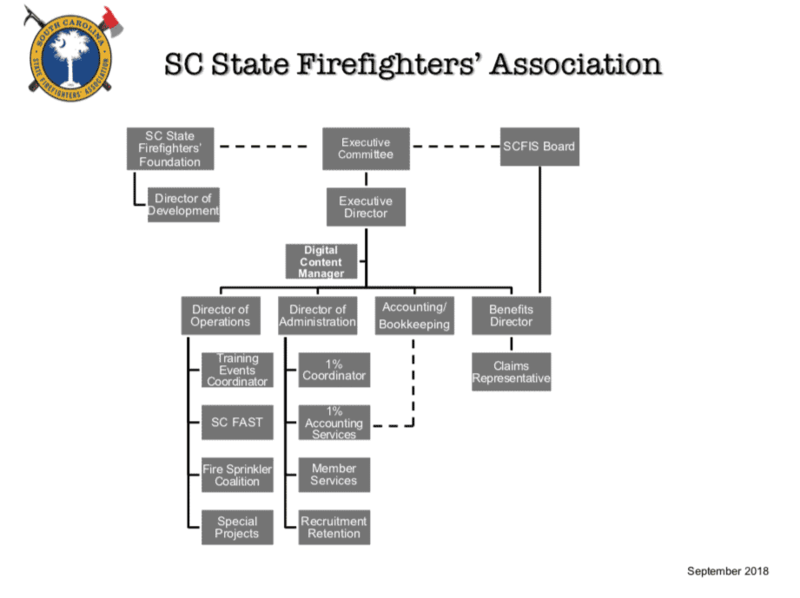 When I began doing research on the history of South Carolina’s fire service, I realized in short order that there is likely more unwritten history just waiting to be discovered than that which has been found and put to print. It is almost overwhelming the magnitude of our past that is hiding away in the pages of old newspapers, council minutes, maps, departmental orders, annual reports, and other historical documents. The question for me is where do I begin? Aside from gathering historical time lines of the 500 plus member departments of our Association, my focus is constantly being drawn away to the many human interest stories that may kindle a spark in our membership to begin their own exploration into the past. So, I offer the following accounting of a part of our history that calls out for more research which may add to the richness of the heritage left for generations to enjoy. In all likelihood most firefighters have heard the stories of the evolution of our Nation’s fire service from the days of the bucket brigades to hand pumpers and hose reels to steam engines and finally to motorized apparatus. During the last half of the 19th Century and the early decades of the 20th Century, horses were introduced as a method to pull the firefighting machines to an alarm of fire and to relieve exhausted firefighters whose energies were zapped by time they trudged along mostly dirt and muddy streets pulling the heavy equipment to the fire. While we may recognize the important function the fire horses played in our history, few people fully appreciate their real value, the training required to make them proficient, the discipline needed to perform under difficult circumstances, and the obvious bravery they displayed during those spectacular fires of yesterday. Many great books are out there which are devoted to America’s fire service and its progression over time. However, most publications are focused more on the larger departments in our Country which have made it a habit to chronicle in detail their evolution. We know a great deal about the introduction and contributions of fire horses in the Cities of New York, Philadelphia, Cincinnati, Chicago, Boston, Detroit, San Francisco, etc., but, little narrative is known about those valiant animals which served in the towns, cities and rural areas of South Carolina. What we do know is limited at best, but if one digs deep into old departmental records and newspapers, a generous collection of information begins to emerge. This emergence of horses into South Carolina’s fire houses can be traced to the 1860s, during and immediately after the Civil War. For example, there is mounting evidence that the Georgetown Fire Department owned between four and eight horses starting in 1870 used by the four independent fire companies operating in that growing town (Abbeville Messenger, April 27, 1886). The City of Darlington owned at least four horses in 1880, the most famous was “Mac” who was a champion in the tournaments held all over the State (The New Era, 1880). The Hope Steam Fire EngineCompany of Florence used two horses to pull their Silsby steam fire engine in 1882 (“Florence Fire Department” by Vickie Suggs), and “Harry”was the last fire horse in that City who was retired in 1916. Around 1900, two independent companies in Sumter operated four horses, the most famous were “Billy” and “Barney”. In a report to the Mayor and Board of Fire Masters of Charleston, Chief Louis Behrens noted that the department utilized thirty horses (The Herald and News of Newberry, May 24, 1910). And, in the little town of Manning, the fire department utilized two horses to pull their steam engine to alarms of fire (The Manning Times, Jan. 8, 1908). There are, of course, other cities, towns and villages in South Carolina that depended on horses to pull their heavy machines to fires during the glorious era of firefighting. However, allow me to concentrate on just a few stories about these magnificent steeds of yesterday that should inspire appreciation for their work and deeds of daring in support of their human counterparts. Probably one of the most famous fire horses in our State’s history was Old Joe of Newberry. In 1902, a freight train with livestock rolled into the Town of Newberry, and in the car was a large Kentucky bay gelding standing “16 hands high and weighed 1,300 lbs.” Eventually the Town of Newberry purchased this 9 year old horse to be used by the fire department to pull its heavy steamer. This untrained horse was assigned to a fireman named Malcolm Lassane who had skill at training horses. After a brief period of time, Fireman Lassane realized this horse was unusually intelligent and had attributes to make an outstanding addition to the department. According to accounts, Malcolm Lassane hated to admit that Old Joe never needed to be urged by means of a whip and probably didn’t even need a driver of the steamer. We are told that Old Joe “took to the fire bell like a duck to water”. We are told that Old Joe was very courageous and never hesitated in positioning his steamer or hose wagon into positions most advantageous for his fellow firemen to initiate an attack on a fire. Old Joe experienced a line of duty injury when his eye was badly burned while operating at a major fire at the Carolina Manufacturing Co. during the early morning hours of December 24, 1905. By the middle of January of 1906, his eye had healed with no apparent lasting impairment. Over time, the officers and members of the Newberry Fire Department decided to enter Old Joe in the many tournaments and competitions held across the State “to bear the colors” of Newberry. Wherever tournaments were planned, the City always sent the swift horse to represent the department whether in Columbia, Charleston, Darlington, Florence, Sumter, Anderson, Greenville, Greenwood or Abbeville, and in the majority of these events, Old Joe strode to jubilant victory. According to firehouse stories, and confirmed by newspaper articles, Old Joe won more prize monies than any other horse in the South. In 1911, Old Joe came in 1st place in the competition in Rock Hill while pulling a fully loaded hose wagon, missing tying the world record by a fifth of a second (Newberry Observer, May 13, 1930). Old Joe was retired sometime around 1925 due to age and stiffening legs. He was sold to a man who lived on O’Neal Street in the City where he spent his remaining years grazing in grassy fields. Firehouse stories tell of Old Joe going “crazy” when the fire bell rang at the Opera House and his yearning to leave the confines of his enclosure to go to the fire. Old Joe’s career ended during the early morning hours of May 9, 1930, after retiring several years earlier. It was a sad day when Malcolm Lassane was told of his longtime friend’s death. Malcolm had taken care of Old Joe every day since being purchased by the City. And, it was Malcolm who was given the honor of selecting the site for Joe’s burial. Malcolm made the decision that Old Joe should be buried by the side of the City’s Fire House where he rests until this day. Newspaper accounts tell that nearly 300 people were present at Joe’s funeral and that the fire bell “tolled 35 times” in recognition for each year of his life. Tears were noted in the eyes of citizens who crowded around the grave located on Harrington Street, but no tears or grief were as great as that experienced by Malcolm Lassane who bowed his head in respect for his beloved and faithful friend (Newberry Observer, May 13, 1930 and Nashville Banner). It is interesting to note that at the time of Old Joe’s death, a bank account in his name had amassed a sum of $3,500 in award money from his many wins in fire department competitions throughout the State. According to a story written by Bernard Cheney for the Nashville Banner, a monument was to be built in honor of Old Joe using the proceeds of this account. However, it appears that this money was never used to construct a monument, and it can only be assumed that it was spent for other projects. Only a plaque affixed to the side of the old fire station currently designates the the location of Old Joe’s burial plot. After learning of the failure of the City to use Old Joe’s winnings to erect an appropriate monument in his honor, Newberry’s Fire Chief, Keith Minick, plans a project to correct this unfortunate omission. Like most villages, towns and cities in South Carolina, the town of Sumter began a gradual effort to provide its citizens with some semblance of fire protection when in 1856 a fire engine was ordered, likely hand drawn and certainly hand pumped. In 1884, Sumter had a population of nearly 3,000 and boasted of two companies…the Delgar Reel Squad and Monaghan Hose Company (Sanborn Maps,1984). Horses were purchased to pull these engines and wagons to alarms of fire which, as one would expect, caused some rivalry between the two to determine which team could arrive on scene first. The Monaghan Squad had “Harry B” and “Douglas”, while the Delgar Reel Squad had “Barney” and “Billy”. Unfortunately, one night in 1906, both companies answered an alarm that ended in disaster for the department. Coming from different directions, both companies met at the corner of Main and Liberty ending in a major collision for the team of horses and their rigs (The Item). Sadly, Barney died of his injuries….possibly one of the very few equine line of duty deaths recorded in South Carolina’s history! Over 100 years have passed since this tragic incident, and we are still trying to address the issue of driving safety. During the early years of 1900s, the Town of Darlington was blessed to have a horse named “Mac” whose strength and speed brought recognition to the department as a state champion in the firefighter competitions. Over in Florence, “Harry” made proud his counterparts as a horse of unusual ability and discipline. “Harry” was retired in 1916 by his handler Lucas Bryant. It is interesting to note that in spite of the rivalry between fire departments that these brothers came together for each other when the request was made to send assistance. When major fires broke out in the Pee Dee area of the State, “mutual aid” requests were telegraphed to the mayors of the towns from which aid was needed. Hartsville, Darlington, and Florence played well together and would eagerly send assistance when fires struck their respected business districts. From the many accounts of fires it is obvious that requests came from the mayors of the various towns needing assistance to the mayors of the responding departments via telegraph. It was unrealistic to expect horses to pull steam engines at high gallop the distance from Florence to Darlington so trains were seized, appropriated, or confiscated to haul their engines, horses, and firemen to the neighboring towns. It is noted that skilled stagecoach drivers could make the run to Darlington from Florence in a record of 30 minutes (Brief History of Florence by Steve Baker). Historical records reveal that in 1886, the town of Wilmington, North Carolina, suffered a fire of major proportions and telegraphed the officials in Florence for help. Appropriate approvals were obtained, a train was commandeered and the Hope Steam Engine Company with Captain J. Jellico led a sizable manpower pool of 35 volunteers to assist with the conflagration within 3 hours. In 1888, still another request for mutual aid came this time from the Town of Georgetown where a major blaze was raging in the downtown area. Once again, approvals were acquired, a coal-fired train engine and flat car were seized, and the car was loaded with a steamer, horses, and a large complement of firemen. The trip to Georgetown proved very helpful, and the firemen made Florence proud of their department (Georgetown Council Minutes, June 1988, and “Florence Fire Department” by Vickie Suggs). Records reveal that the Town Council of Manning purchased a “hook & ladder” truck several years prior to 1889. This truck was essentially a hand-drawn wagon equipped with various ladders and assorted tools, ie. axes, pike poles, hand saws, lanterns, etc. The volunteers who manned this unit were most likely trained to enter burning structures to remove belongings, stock and property of the owners in order to minimize losses before the spreading flames could consume the building. On occasion, the firemen may have actually attempted to extinguish a blaze in its incipient phase by using water buckets filled from the 14 cisterns located around the town. Over time the town added a more modern steam engine that allowed for draft and pumping water from the cisterns fed by flowing wells. As the apparatus increased in size and weight, the volunteers could no longer efficiently pull the rig to alarms of fire so two horses were purchased to ease this physical encumbrance. The old fire house located on Keitt Street was a two-story wood frame structure with hinged bay doors. Just where or how the horses were housed is unknown but we do know that these horses were also shared with the street department during the day by pulling a wagon to dispose of garbage at the town dump. There is an interesting but sad story chronicled in the January 8, 1908, edition of The Manning Times which provides an account of a training accident that claimed the life of one of the horses, injured the fire chief, a fireman and a helpful citizen, and damaged the steamer. The narrative is clear that the horses were hitched to the steamer, the chief “mounted” the seat and the fireman stood on the rear step with the intent of exercising the horses and to condition them in responding at great speed to a fire. “At the order of the chief the engine house doors were thrown open, and out came the horses under whip at full speed.” However, as the article continues, a cow was encountered in the street as the rig made the turn out the station. In an effort to avoid hitting the cow, the chief “miscalculated” his turn at a reckless speed with the result that the steamer turned over throwing the firemen off the steamer and crushing the horses under its weight. The chief sustained a back injury, and the fireman suffered a laceration of the face. Store owners and citizens helped in the difficult task of extricating the horses. One of the horses was either killed outright or had to be put down because of his injuries. The remaining injured horse became unmanageable due to fright and excitement. In an effort to quiet the animal, a citizen was severely hurt by the excited animal’s pawing. Truly the fire horses that served the fire departments of yesterday are our forgotten heroes. The horses which were selected to pull the steamers, hose wagons and ladder trucks in the days gone by had to be “strong, swift, agile, obedient and fearless”. “At the scene, they needed to stand patiently while embers and flames surrounded them. They needed to remain calm while the firefighters fought the blaze. This was the case in all weather conditions and in the midst of a multitude of distractions” (“Fire Engines”, by Paul Ditzel and “History of Firefighting in America” by Dennis Smith). The stories of our “Forgotten Heroes” don’t end here. To continue publishing these and other narratives, we need your assistance in researching your own department’s history and submitting the information to the Association. As you collect your information, I will be happy to visit your department to assist in the process of putting it to pen. Excellent reading from Carter Jones! Anyone who loves animals will enjoy reading the stories about the old fire horses. What a great contribution of historic value! Hope to read the final collection in book form after research is completed. Thank you!